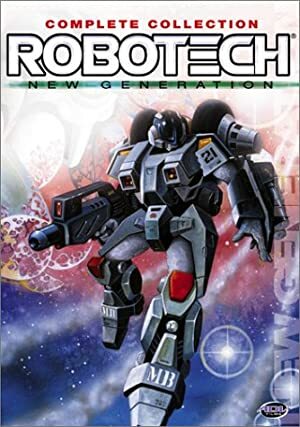 Robotech, starting in 1985, was one of the major series introducing sci-fi animé to American audiences. As with several such 1980s pioneering imports, it was a mishmash drawing from three different Japanese animé series. The storylines, characterisations, etc. were also redone so it would (more or less) fit together, and to appeal to young US audiences. 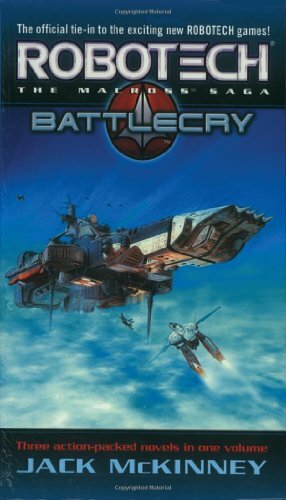 Our Robotech notes are mostly intended for fans of the series. The DC History sections are stitched together to follow the three generations of Robotech heroes. You can refer to the Max Sterling, Dana Sterling and Breetai profiles before this one if you want the full thread on the story. Real Name: Lt. Cdr Scott Bernard. Group Affiliation: Robotech Expeditionary Force Mars Division. Base Of Operations: Formerly with the REF fleet in space, later mobile in North America. Height: 5’10″ Weight: 160 lbs. 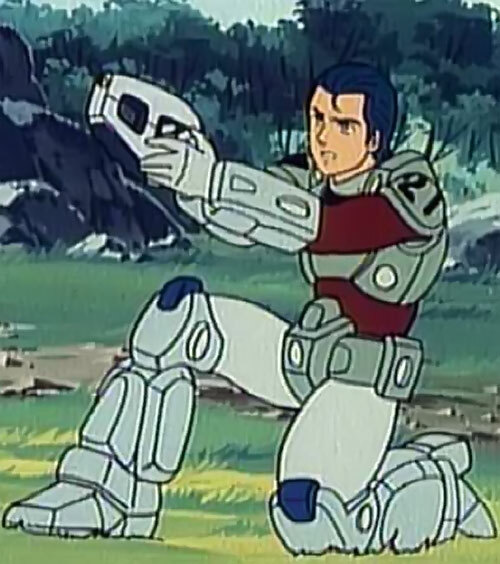 Scott is an able RDF officer and hellatious combatant with the Robotech weapons of his era. He flies every variety of Mecha including the Alpha and Beta fighters. His skill with hand weapons is high but he is at his absolute best in the Cyclone Armor. Born on the REF Expeditionary Mission, Scott Bernard is part of the new generation of Earth’s defenders. He is a pilot in the Mars Division, one of the advanced battalions trying to reclaim Earth from the Invid. He arrived on his ancestral planet as one of the only few survivors. The advance Robotech Fleet had had a traumatic encounter with the Invid upon arrival. After recovering from the shock of his disastrous landing Scott set about to fulfill his mission. He was to reach Reflex Point and act as an advanced force to Admiral Rick Hunter’s. Scott quickly rallied other Earth rebels on the way to Reflex Point. He formed a resistance force that battled the Invid invaders as they made their way to the ultimate battleground. At the end of the Invid War Scott left Earth in search of the missing SDF-3. Scott is an intense young man in an RDF uniform. In many ways he is recruiting poster solder and officer. He is utterly goal oriented and his intensity is apparent in his every action. He is attractive in an absent-minded way. A moody and driven young man. He is hardened by the loss of his fiancée and by the death of the entire Mars Division. You would need to go to Batman’s nightly search for Justice or Roland’s quest for the Dark Tower to find someone more goal oriented. He does not so much hate the Invid as they are just obstacles on his path to Reflex point. Scott is a natural leader. He recruits a group of resistance fighters by force of personality alone. In the Third Solar War the Earth’s governments fall to combined enemy forces under the Robotech Masters. The first two wars extinguish most of Earth’s heroes. Superman’s genus is completely annihilated with the death of Children of Krypton at the end of the Second Solar War. The New Brussels Titans and The Forces of the Bat have continued in new forms. Power Play and Green Line (the Green Lanterns from the second war) are both aging are still active. G-force and Center Neptune are destroyed but there are persistent rumors that Keyop is still alive and operating with the Forces of the Bat. Scott, as the last survivor of Mars division, has arrived on Earth in advance of the REF’s return to liberate Earth. He, in his Cyclone Armor, goes about raising defensive forces. He has a brief encounter with the mostly dead Martian Manhunter. Based on the intense telepathic moment Scott seeks out the metahumans and brave souls of the ravaged Earth. In the face of the Invid, Orcans, Posleen and Thanagar Scott reaches out for a very old dream. He forges the Justice Legion Army. Expertise (Survival), Iron Nerves, Leadership, Rank (Lt. Cmdr REF). Rand, Rook, Lancer, Lunk, Annie (High), Robotech Expeditionary Force (Low). Enemy (Corg), Traumatic Flashback (seeing his fiancée and friends killed by the Invid), Involuntary Exile (Last operational survivor of Mars Division). RDF Body Armor [/BODY/ 07, Blunting: 04 Radio Communications: 12, Sealed Systems: 05, Shade: 02]. Gallant H-90 Multi-Weapon pistol/rifle [BODY 04, Energy Blast: 09, Loss Vulnerability: If not plugged to the CYCLONE ARMOR, Energy blast drops to 06 APs]. CYCLONE ARMOR (Veritech Cyclone VR-52 Battler) [STR 07 BODY 09 (Hardened Defenses), Jumping: 03, Radar Sense: 08, Radio Communications: 18, Sonar: 08, Power Reserve: 03]. The Cyclone Armor has two modes of operation: Motorcycle and Body Armor. Body Armor mode: [STR and BODY become /italicized/, Running: 06, Sealed Systems: 11, Gliding: 02, Shade: 05, Thermal Vision: 06, Energy Blast: , Flight 04. Limitations: Requires RDF Body Armor to use in other than motorcycle mode ; also – see Protoculture Below]. The Cyclone Armors of the New Generation Mecha are forever short on power. The Cyclones can use plain old gasoline and operate as a simple motorcycle. To use any of the advanced functions requires Protoculture. The cycles will run through a two canister refill in about a month. Using Flight beyond a bare minimum will cause the power to drain twice as fast. Heavy use of the H90 in augmented mode shortens the life of a fuel charge as well. When the Cyclone Armor runs out of power it will eject its wearer and coast to a stop. It will still run for several hours in motorcycle mode after this point. In the Robotech New Generation Genre the custom Vehicle sub skill Power amour is common. It in this context is the skill at using the cyclone in power amour/battloid mode. By Pur_see_i8 and Mike Winkler. Source of Character: Harmony Gold TV series Robotech New Generation with notations from the Jack McKinney novelization. Helper(s): Robotech.com , Palladium’s Robotech RPG sourcebooks and supplements, wikipedia.org.